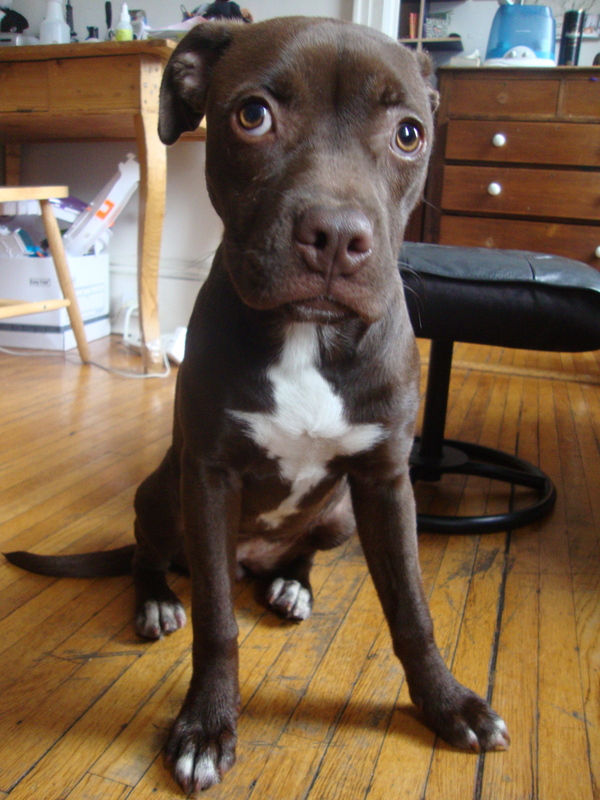 One is an absurdly cute, apartment-sized pit mix named Darwin. She weighs about 38 pounds and looks like a living version of those Precious Moments dogs with the overlarge eyes. Darwin is a little over three years old and had been a very active, verging on hyper, dog until last March. When THE BIG OAF (a.k.a. Charlie the pit-hound mix) came to live with us in March, Darwin immediately assumed the role of wizened elder stateswoman. She became calm, controlled, and lovely. Charlie, on the other hand, is kind of a ridiculous giant. We love him, mind you, we just don’t always LIKE him that much. 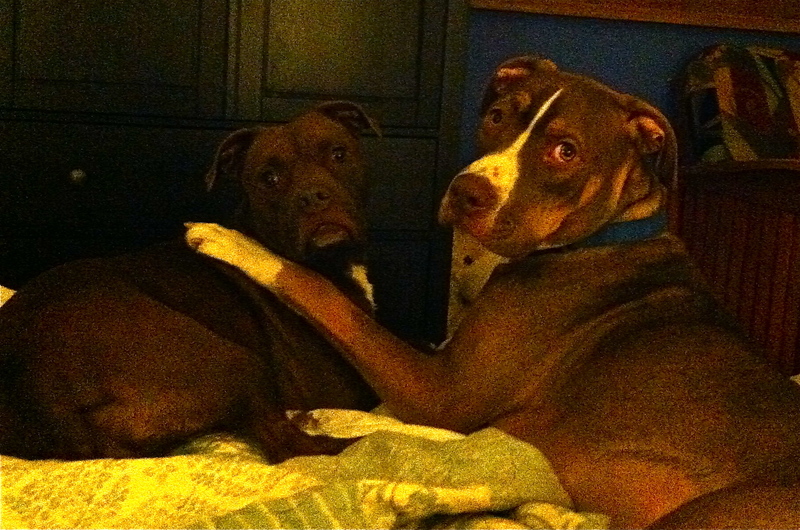 But, Charlie and Darwin adore each other, and really, that’s all that matters. This is why we put up with the inevitable injuries that come with simply taking Charlie for a walk. He is a total spaz. There are chickens everywhere, which he manages not to chase, but the barn cats make him insane. 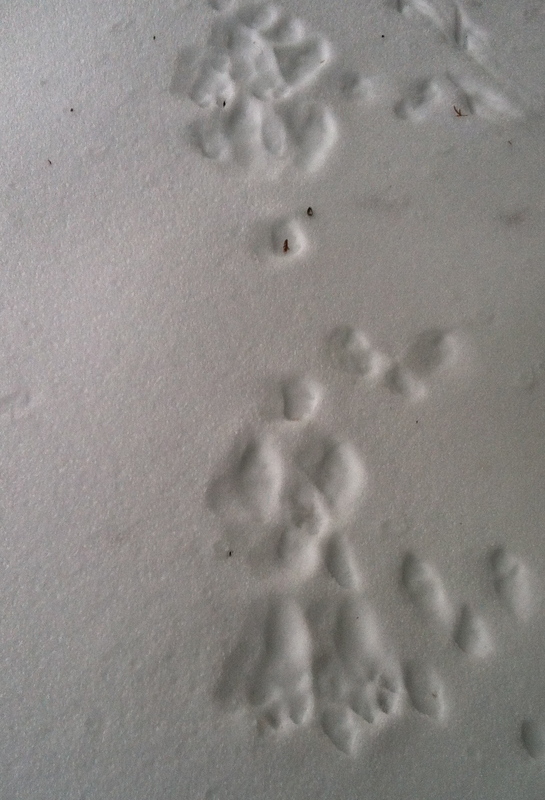 Almost every journey out of doors is a stampede toward either 1) a cat, or 2) cat poop. The latter is, apparently, delicious. My dog, the size of a small pony, runs directionless at daybreak. He is going nowhere, and everywhere, running like an errant football, bouncing; hard to catch. 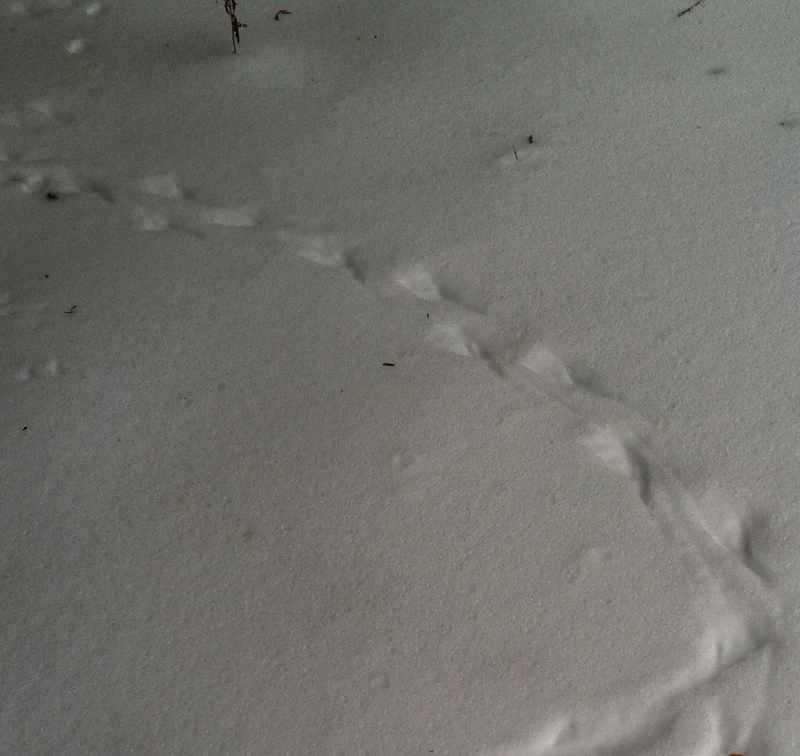 Our tracks, a Jackson Pollack in the snow. 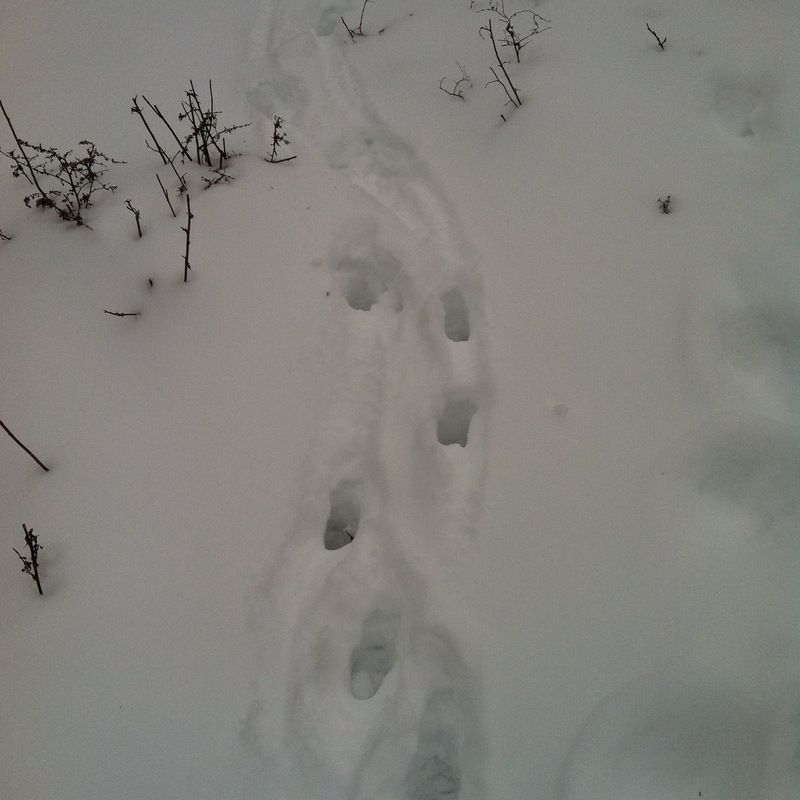 A good snowfall brings with it the eventual gift of many tracks. 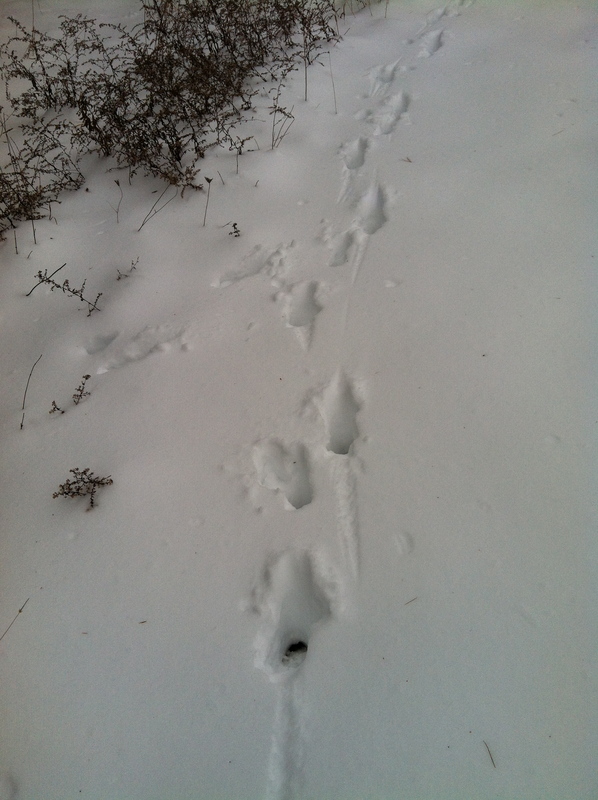 I started noticing all the varying sorts of tracks left behind by all the different creatures roaming our neck of the woods. It was a remarkable exercise. 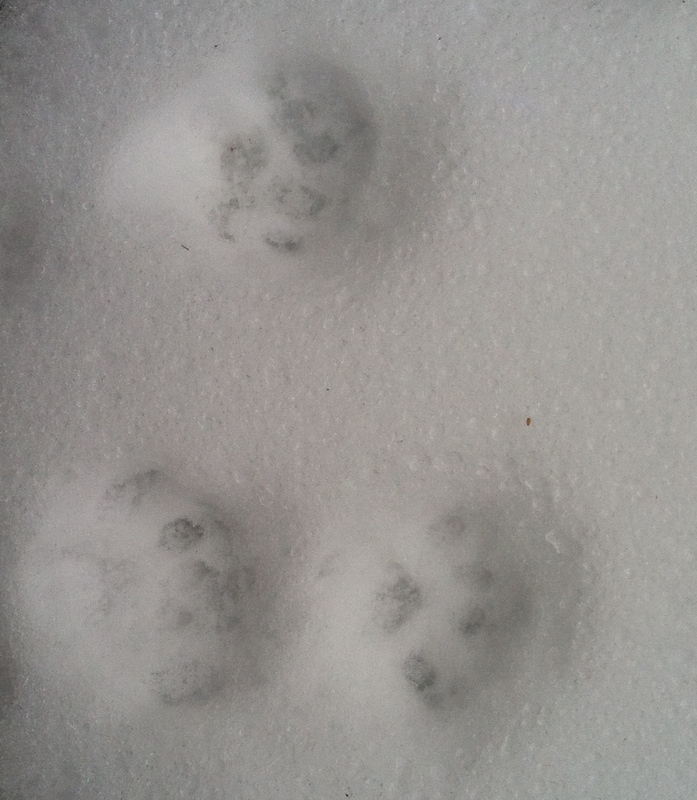 Within ten minutes, I’d found dozens of them, and not just made by the animals for which we are responsible. 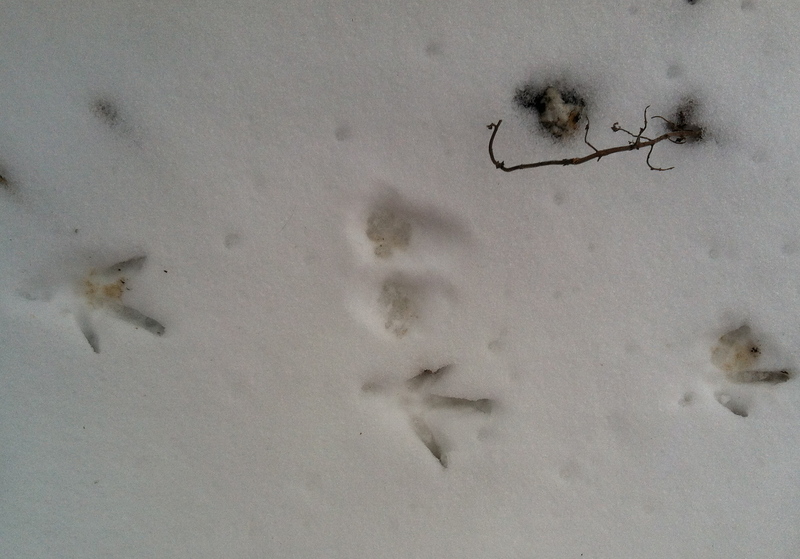 In the past day or so, our little farm had seen at least three deer, a number of birds, and two wild rabbits. To say nothing of our cats, chickens, and goats. 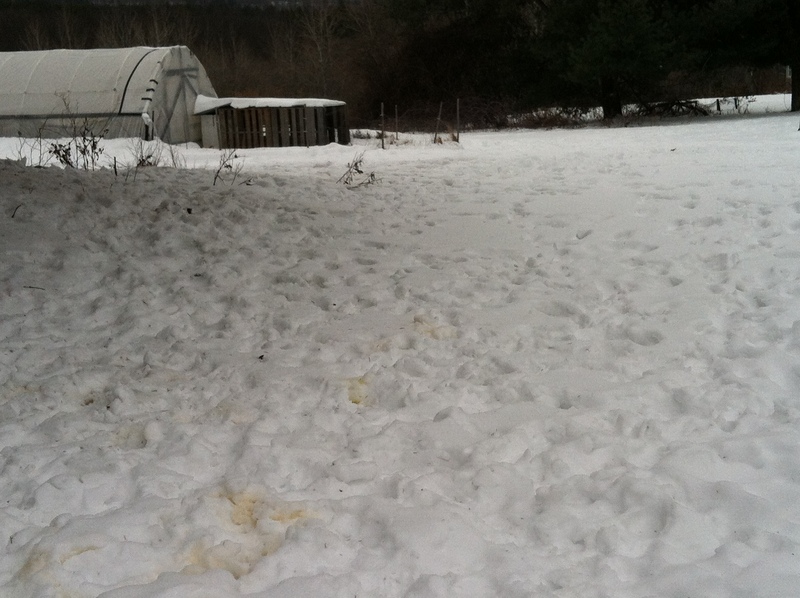 Things take a slightly messier turn when we get to the pigs and the dogs, however. As I write, a drizzly sort of rain has started to fall and I see that our thermometer reads 41º. These tracks will be washed away before too long and, I imagine, the muddiness left behind will bring a whole new set. 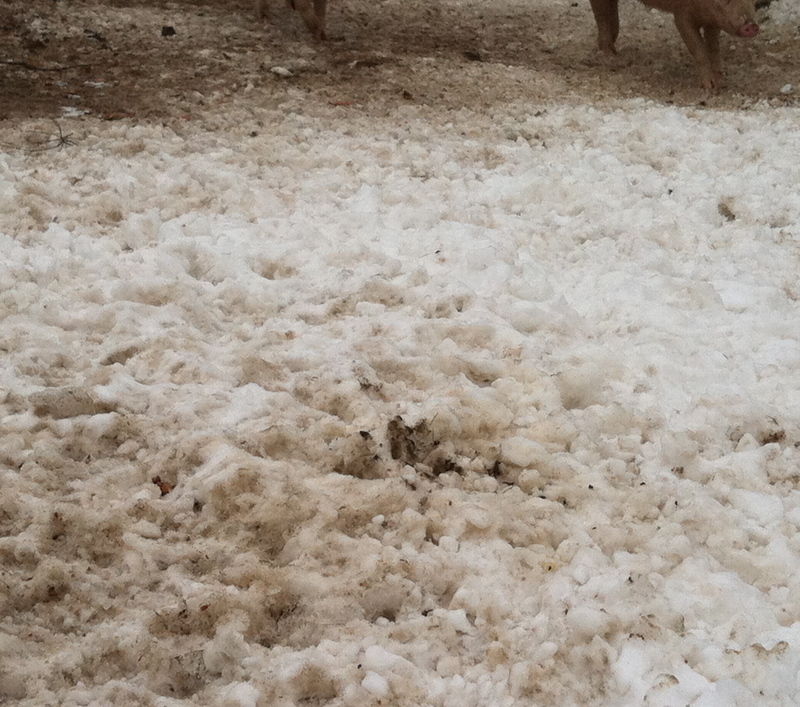 This entry was posted in Uncategorized and tagged applewood farm, barn cats, birds, cat poop, Charlie, chickens, Darwin, deer, dogs, goats, Hound Mix, Jackson Pollack, pigs, Pit Bull, Pit Mix, poetry, rabbits, snow, tracks, tracks in the snow. Bookmark the permalink. Love, love, love your poem. It’s perfect as is, say no more! You must have gotten your awesome writing skills from your Mother. Right?